If you've been on Twitter recently, you might have noticed that librarians all over the world have been tweeting their top ten favorite books with the hashtag #libfaves17. Checking out this hashtag is a great way to see what books librarians are loving this year, find books you may have missed, or collect titles to put on a book list or display. I, too, have been tweeting along, but I wanted to compile my list (with some BONUS PICKS because who can choose just 10 books?). I present to you my personal 2017 Favorites (with the caveat that of course I have not read every book and of course I have not even read as many books as I really wanted to this year). This list is in alphabetical order because, really, who can choose actual favorites??? 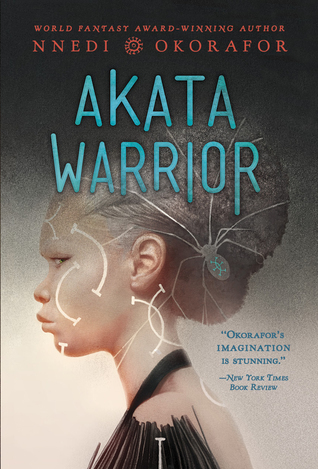 Akata Warrior by Nnedi Okorafor (Viking, October 2017). Stop and go read Akata Witch if you haven't already. This sequel won't mean much without it. That said, this was an amazing sequel, which is awesome because the first book came out in 2011! This book continues the adventures of a team of Nigerian (and American-Nigerian) tweens battling the big bad dark magic threatening their existence. For middle schooler and high schoolers who loved the magic and adventure of Harry Potter, these books are a must-read. All's Faire in Middle School by Victoria Jamieson (Dial, September 2017). Imogene was raised in a Renaissance Faire. Homeschooled by two parents who both work at the local Faire, Imogene had rather a unique upbringing. And now she's turned 11 which is the age she can begin to squire at the Faire and she's taken on yet another challenge: she's heading to middle school. 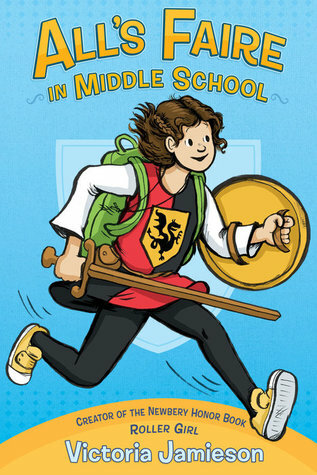 Victoria Jamieson has been so clever here with how she infuses Imogene's personality and behavior with Renaissance-isms that it really adds another fun layer to this book that's about lots of things that middle-schoolers struggle with: starting at a new school, figuring out who your friends really are, dealing with strict teachers... For the Ren Faire lover or any comics lover in your life. 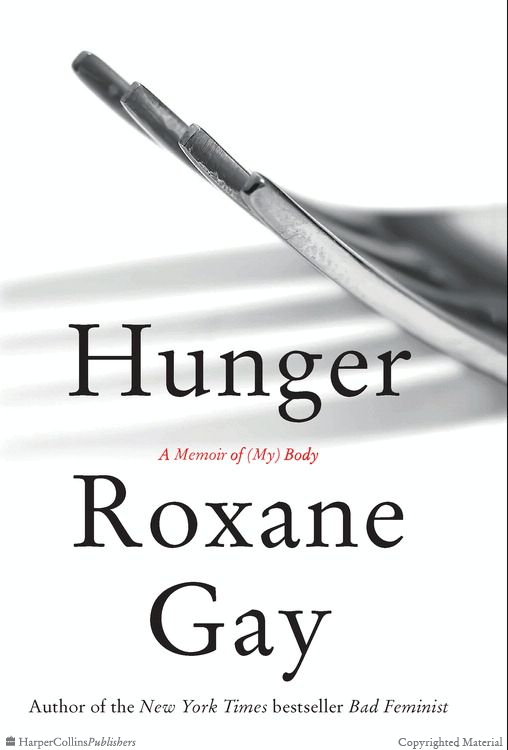 Hunger: A Memoir of (My) Body by Roxane Gay (HarperCollins, June 2017). This is a visceral and powerful story that needs to be widely read. The strength it has taken for Roxane Gay to write about her body and her experiences this way; we as readers are privileged to be let in. And the things she says about her body and the way fat peoples' bodies are perceived and treated in our culture - I kept saying YES over and over again. She is speaking truths here that are not easy, that are not comfortable, but that need to be said and acknowledged. This is a book that I read as a digital galley and then pre-ordered and bought with my own cash money because I needed my own copy on my shelves. 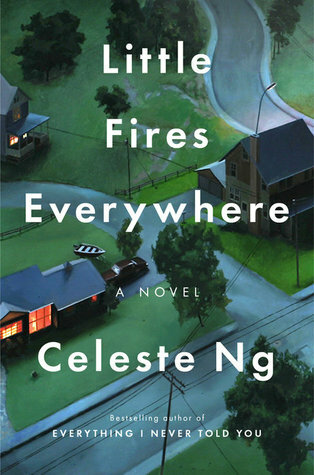 Little Fires Everywhere by Celeste Ng (Penguin Press, September 2017). When a nomadic artist and her daughter drift into the town of Shaker Heights, Ohio in the late 90s, their landlords the Richmonds will never be the same. Multiple moving storylines come together in a really satisfying way in this story that deals with belonging and ownership, motherhood and daughterhood, race and inclusion in a planned community. This was pick for my book club and we had some really great discussions about it. 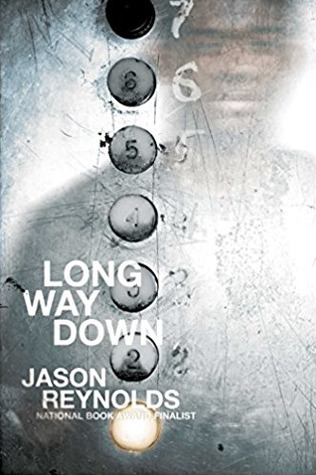 Long Way Down by Jason Reynolds (Atheneum, October 2017). You had me at Jason Reynolds. No, but seriously, this is a book that does a lot with a very few words. Will knows what you do when someone you love is killed: you get revenge. And that's just what he sets out to do. But when ghosts from his past start appearing in the elevator on his way down, can they change his mind? This was one of the most powerful books I have read and I can't get over the ending of it. If you or your readers like intense books about contemporary issues, grab this book. 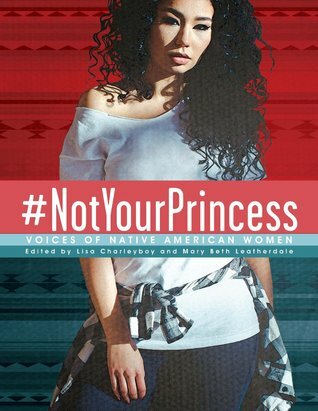 #NotYourPrincess: Voices of Native American Women edited by Lisa Charleyboy and Mary Beth Leatherdale (Annick Press, September 2017). This book is fantastic, a must-read and a must-add. Collected here is art in many forms - poetry, essays, photography, and other visual art - all by modern Native American women. If all you know about Indigenous people is the Thanksgiving myth you learned in school, pick up this book and educate yourself. These pieces are powerful and they speak volumes in just a few words. This is another one that I checked out from the library but then bought a copy for my shelves. I want to be sure that my niece will be able to read this one day when she's old enough. 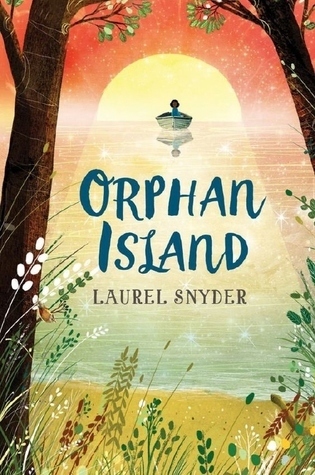 Orphan Island by Laurel Snyder (Walden Pond Press, May 2017). I am the first to tell you that I have read nowhere near enough books to make qualified guesses about this year's Newbery Award, but this one just keeps sticking in my mind and won't let go. It actually took me a long time to figure out if I loved it or hated it. Set on an island where every year an orphan appears and every year and orphan leaves, the kids have the run of the place. They also follow the rules. Until one year they don't. I found this book both maddeningly frustrating and also so incredibly relateable. Piecing Me Together by Renee Watson (Bloomsbury, February 2017). Jade is dealing with a lot of different stuff - body image issues, being socioeconomically different than most of her classmates at her private school (she attends on scholarship), and hearing about racial violence in the news, stories her white classmates don't pay attention to. 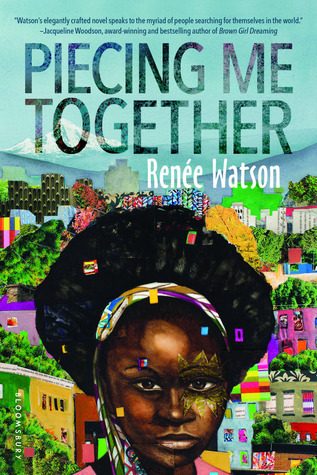 It could be a lot for one book, but Renee Watson pieces it together masterfully with even the format of the book (told in short chapters, scenes, and vignettes mixed with longer chapters) mirroring Jade's chosen art form: collage. This is a YA book, but I think a case could be made that it fits on the upper end of the Newbery criteria. 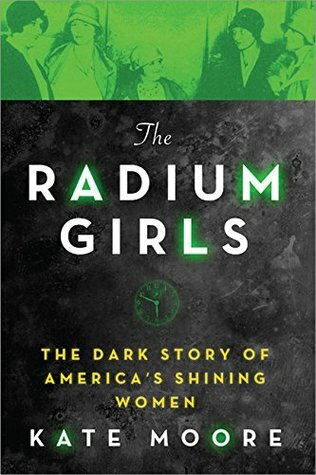 The Radium Girls by Kate Moore (Sourcebooks, May 2017). This gripping and horrifying true story, part medical mystery and part courtroom drama, brings to light a forgotten chapter in women's history. In the 1920s, radium was all the rage and doctors advised people to take it for health. Radium was starting to be everywhere, including on the luminous dials of watches so you could tell time in the dark. The numbers and watch hands were painted with a glow in the dark paint, painted by hand, painted by women working in the dial factories. And to make their brush points fine enough, the women shaped the tips of the brushes with their mouths, ingesting small amounts of radium every time the brush touched their lips. No big deal - radium is healthy for you! Except it's not. In fact, it's deadly. And the companies knew that (or they knew it wasn't good for you), but they did nothing. They denied that young women were getting sick and dying. And because the companies were giant, rich companies, they thought they could get away with it. Until they couldn't. This is riveting narrative nonfiction and it was a book I couldn't put down. 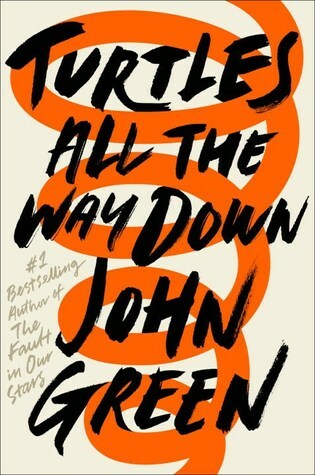 Turtles All the Way Down by John Green (Dutton, 2017). Okay, so you know that I'm a John Green fangirl, so now I will tell you that this is my favorite of his books. Intensely personal, this novel features a character with severe anxiety and OCD. When a reward is offered for information about a missing billionaire, Aza and her best friend rekindle a friendship with the billionaire's son. But it turns out to mean much more than just solving a mystery to Aza. I appreciate how much of himself John Green puts into this story as he explores the spiral of Aza's thoughts. 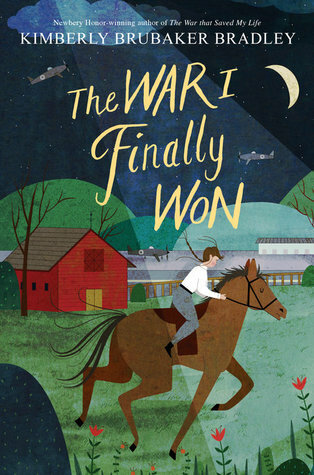 The War I Finally Won by Kimberly Brubaker Bradley (Dial, October 2017). Here's another sequel not to miss, but make sure you've read The War That Saved My Life, one of my favorite books in recent years. I was so hopeful for this sequel and it did not disappoint. Kimberly Bradley has a way of writing characters that lets the reader get right into their souls. I am a very character-driven reader, so this is a series that is right up my alley. 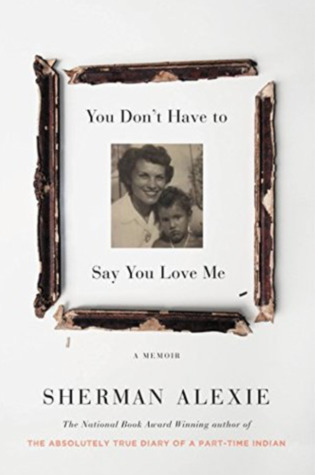 You Don't Have to Say You Love Me by Sherman Alexie (Little, Brown, June 2017). This is a heartbreaking masterpiece. In a blend of poems, vignettes, and prose chapters, Sherman Alexie gives us his memoir. This raw, fiercely personal memoir delves into Alexie's painful childhood, his discoveries about his family, and some of the awful things that were done to him and members of the Spokane Nation by white people. Alexie digs deep into his reactions and feelings after his mother's death; Alexie had a complicated relationship with his mother that is maybe even more complicated after her death. I listened the audiobook, which is read by the author, sometimes with obvious emotion, which was an extremely powerful experience. This read has inspired one of my Read Better goals to read more (much more!) of Alexie's work this coming year. It pains me to leave out some of the other books I've loved this year! Do me a favor and visit my GoodReads profile where you can see all the books I've rated five stars this year. Feel free to add me as a friend!